To say the least, August has been a hectic and chaotic period for me this year. It all started in late July when I along with 14 colleagues were let go from my job due to cut backs. Living in a foreign city not speaking the language fluently made me slightly panic for an hour or two until I remembered that there are lots of opportunities in Amsterdam for an ambitious lady such as myself. I was lucky as I was given two months notice, however, was able to find a job within one month. Although only having been job hunting for a month, it hasn’t been without frustration and doubt: Doubt in myself, my abilities and competencies along with questioning if I should stay in Amsterdam. As you know, I am quite keen on moving around and settle in different foreign cities for a period of time, however, I simply am not done with Amsterdam yet. Amsterdam is just such a lovely city! Therefore, I quickly decided to stay. Figuring out my next move and determining what direction I would like to go from here have proved rather frustrating but now I have a clear idea of where I want to go. Although I am sad to leave my current job and the wonderful team, I am thrilled at an opportunity to do something more me. Yesterday was the day when I signed a new contract with an amazing company in the heart of Amsterdam. I am so incredibly excited to start this new adventure and chapter of my life as a Recruitment Coordinator. I truly believe that this is the start of something wonderful and amazing! Be true to yourself and determine what you want and need in life to make you happy – then go for it! Remember, the best is yet to come! 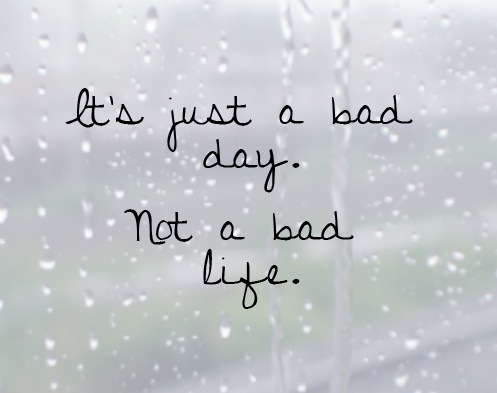 What keeps you positive and optimistic on a bad day? Please, do share! ← Gezellig: Why Amsterdam is so darn cozy! Absolutely! When I’m on the bike and its raining and cold I just say to myself “there is no light without dark”, and so often when the good happens again it is far more appreciated for having been punctuated by the difficult. It’s also about expanding your edge again after getting perhaps complacent. Just re-blogged my piece about that which starts:- Where is your edge? How far do you go? What happens if you lose your edge? There are the edges which define an entity and there are the edges that give an advantage. The edge of skill and the edge of experience, the edge of life and the edge of self, these are closely woven together. (excuse the bit about motorcyclists but it was written for Moto magazine). So true and it can always be worse! For me it’s the promise of chocolate/ a TV show I like at the end of the day, and remembering that tomorrow is a fresh start 🙂 Good luck with your new job! These words are true, going through a rough few days now and this has helped, thank you. mother of Man have tough life & she have 2 rule what get her through bad day. rule 1 = everything is temporary. everything. rule 2 = if you have to compare yourself to someone compare yourself to someone who has it worse off than you. 2 rule make sense to monkey. Great, great list!!! Thank you for sharing! Really nice post. Although it’s not related to the whole concept of travel, I felt so happy and warm inside on reading the 15 quotes…bad days come frequently across my way and most days I just want to shuffle off into a dark corner and cry. But I don’t. For me, I would say a good book, dark chocolate/crisps and a heart-to-heart with friends or family especially on a rainy or windy day is the best. And green tea. Lots of green tea. Thank you! A great post! Some really important things to remember, especially no.6 about how your bad day and what you’re feeling doesn’t define you.